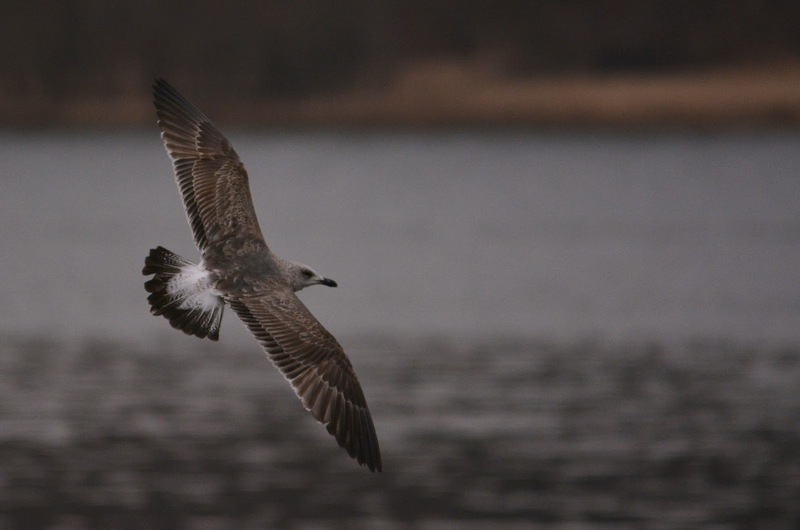 Bucks County, Pennsylvania is a well-known winter stronghold for Lesser Black-backed Gulls in North America. Late winter through early spring can be particularly good for high numbers of this species, as they presumably stage on some of the larger lakes in the northern part of the county, before heading north. I recently spent a day between two of the more well-known sites for this species: Peace Valley Park (86 individuals) and Lake Nockamixon (107 individuals). Roughly 70% of the birds that I observed were adult types. Further, I was surprised by the number of 2nd cycles present (far more than 1st cycles, which were notably scarce). 2nd cycle LBBG. Bucks County, PA. 28 March 2014. Adult-type LBBG. Bucks County, PA. 28 March 2014. Although the birds were somewhat distant, and the skies were gloomy with periods of heavy rain, one of the highlights for me was listening to the cacophony of sounds the Lessers produced. Their long calls are considerably different than American Herring, being deeper and lower pitched. 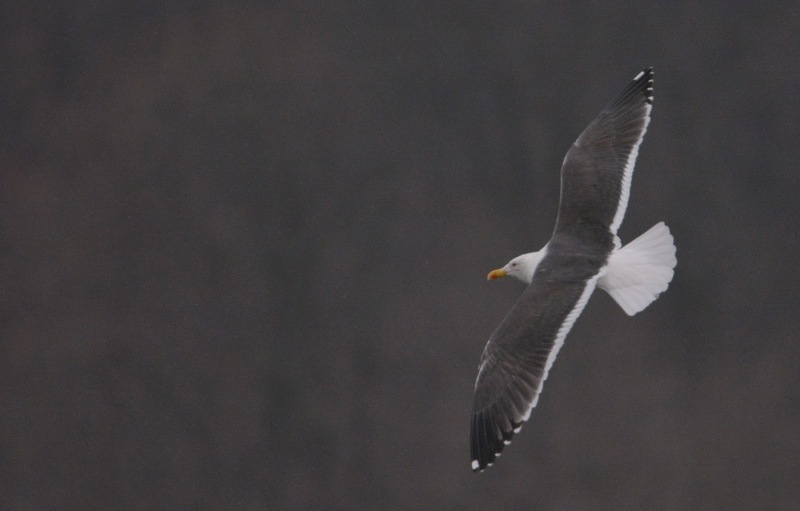 In some ways, I was reminded of Yellow-footed Gull when listening to them. As I wrote in Birding magazine last winter (2013), the presence of this species in North America remains an enigma. Where are they breeding? What subspecies is found on the west coast? And to what extent are they hybridizing with American Herrings?